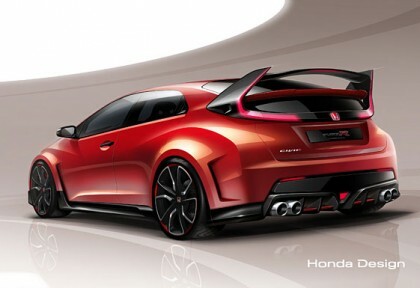 On 12th February 2014, Honda revealed the lineup of its new models that will make their worldwide debut at 2014 Geneva Motor Show including its new Honda Civic Type R Concept. Other members of the lineup are Fuel Cell Electric Vehicle (FCEV) concept, 2014 Civic World Touring Car championship race car and Powertrain layout of the new NSX. The most anticipated models by Honda will be its Civic Type R race car with sophisticated and head turning styling tweaks and future based technological features. The production version of the car is expected to hit the roads in 2015. The design team of this car is dubbed as “Racing car for the road” and the car has strong and expressive styling tweaks represent the same strong performance characteristics for which Type R is renowned. 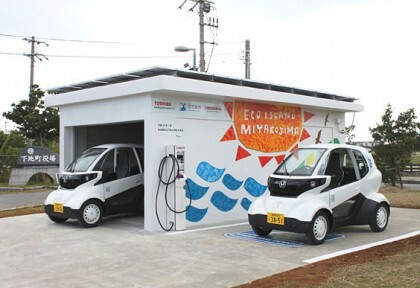 Honda has always experimented with new technologies and this time around Honda has joined hands with Miyakojima City and Toshiba Corporation for test driving of MC-Beta micro-sized EV that makes use of renewable energy. 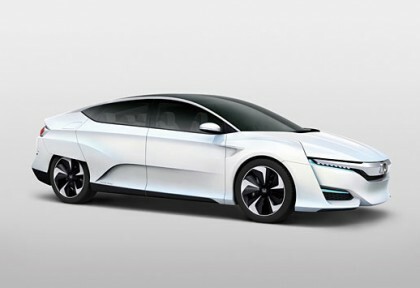 Honda revealed that the new EV will make use of photo-voltaic energy and this collaboration is for the experimental test driving in the Miyakojima City. Although, Honda has not revealed much about the program but it was said that this is an experimental program where Honda will operate a micro-sized electric vehicle using renewable energy to see if that helps the community to have CO2 free society. 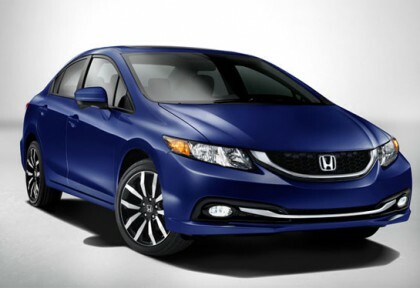 The 2014 Honda Civic is an improved version of the previous models by Honda to maintain its position as the best-selling car in the U.S. It is currently priced between $18,190 and $22,740; it depends on the trim level that you would go for. So far there are six trim levels of the 2014 Civic Civic LX, EX-L and, EX are available in the form of a coupe or a sedan. These are powered by a 1.8 liter inline four-cylinder, with 143 horsepower and a standard five speed manual transmission except for the Si or the Natural Gas trims. Taking into account the latest technical regulations that will come into effect in the 2014 FIA World Touring Car Championship, Honda has revealed the initial visuals of Challenger that will take part in the competition next year. An amazing design of the wheel arch extensions, sleeker aero package, bigger diameter wheels and extended rear spoiler are some of the highlights of Honda Civic WTCC Challenger. On top of that, there is an immensely increased engine power, which should go a long way in helping Honda Civic team to perform much better and retain its World Championship title. 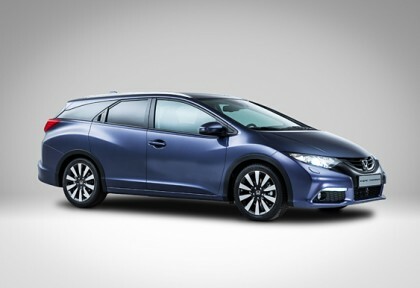 Developed and designed in Europe, the new Civic Tourer made its debut at 2013 Frankfurt Motor Show. The updated Civic 5-door with a refreshed exterior design and refurbished interiors, promises to offer class-leading trunk volume of a whopping 624 litres. The distinctive styling and advanced technology offers an impressive combination of optimum driving performance of fuel economy. With a sportier appearance and even a more distinctive styling, the Civic Tourer will get made in the manufacturing facility of Honda in Swindon. It will get launched somewhere in the start of 2014. Honda CR-V has remained one of the top selling compact SUV that is available in more than 160 countries and has remained one of the popular SUVs globally. Now, Honda has made an announcement that the new 2014 Honda CR-V goes on sale today offering new features and upgrades that will improve the overall driving experience. Honda has made some upgrades and changes to the CR-V to make it fun to drive and functional and spacious as well. Constant improvement is something that consumers expect from top automakers like Honda and therefore the Japanese automaker is ensuring that they live up to the expectations of their consumers. Honda is already aware of the tremendous success of Honda Fit hatchback and therefore this year Honda is coming up with Honda Fit Hybrid model that will have better technology and fuel efficiency that consumers can enjoy. The all new 2014 Honda Fit Hybrid model will now have Sport Hybrid Intelligent Dual Clutch Drive that will offer better fuel economy to the consumers.